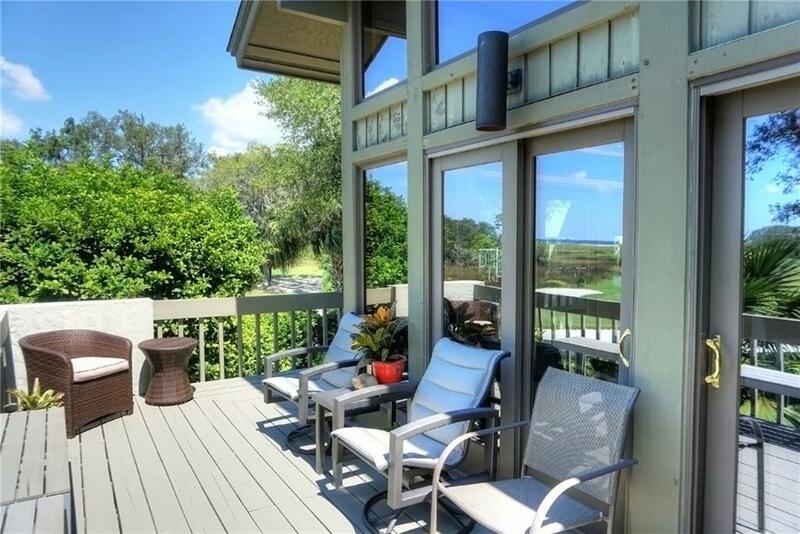 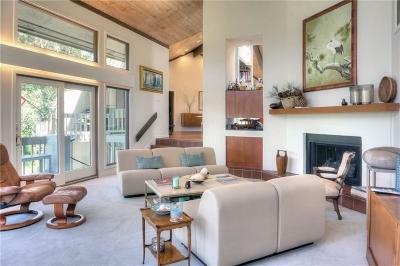  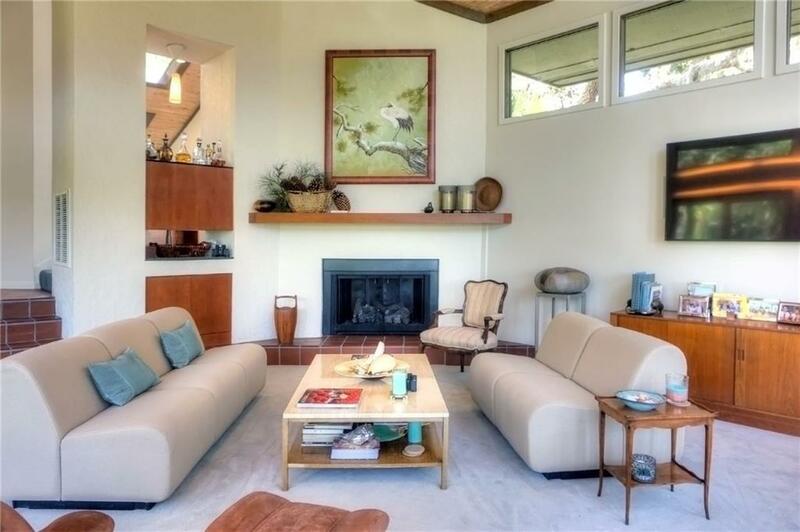 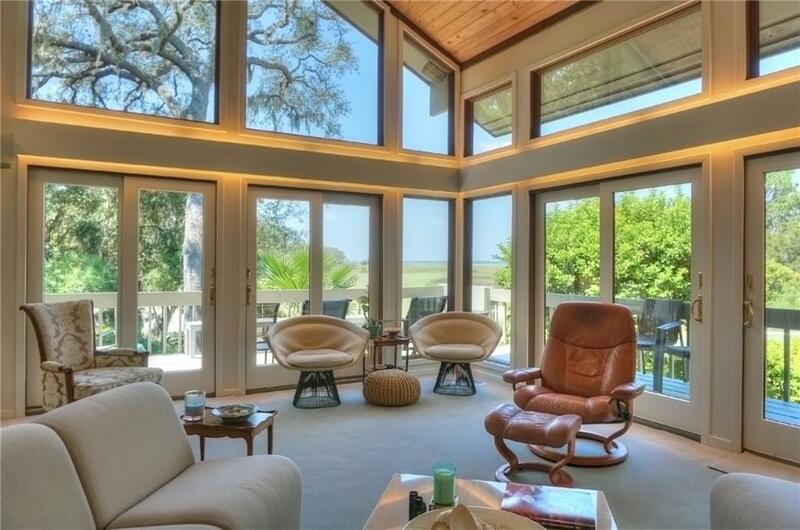 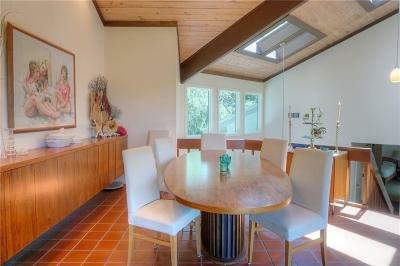 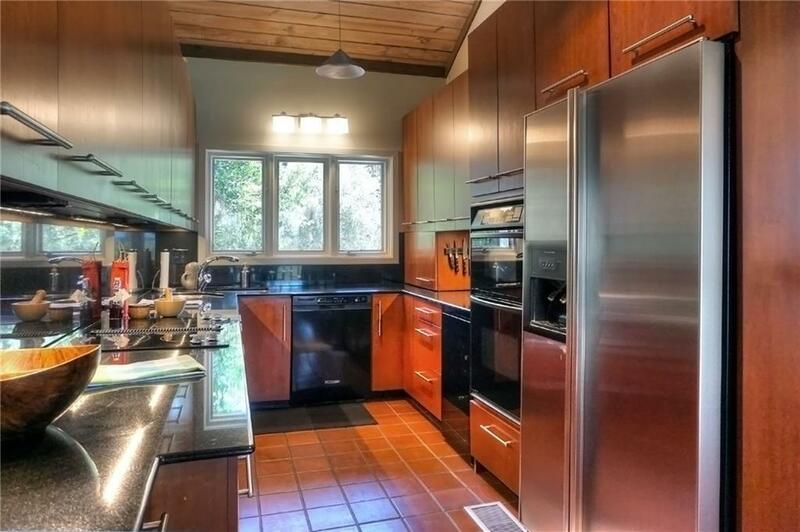 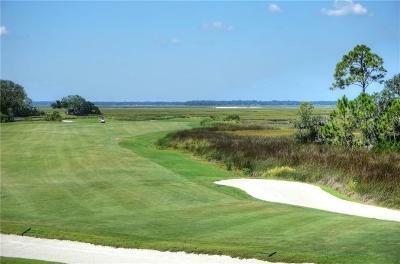 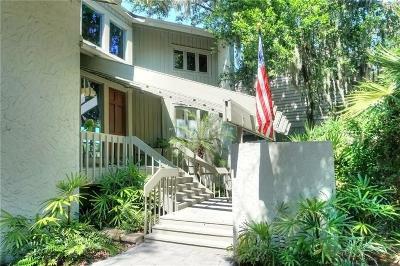 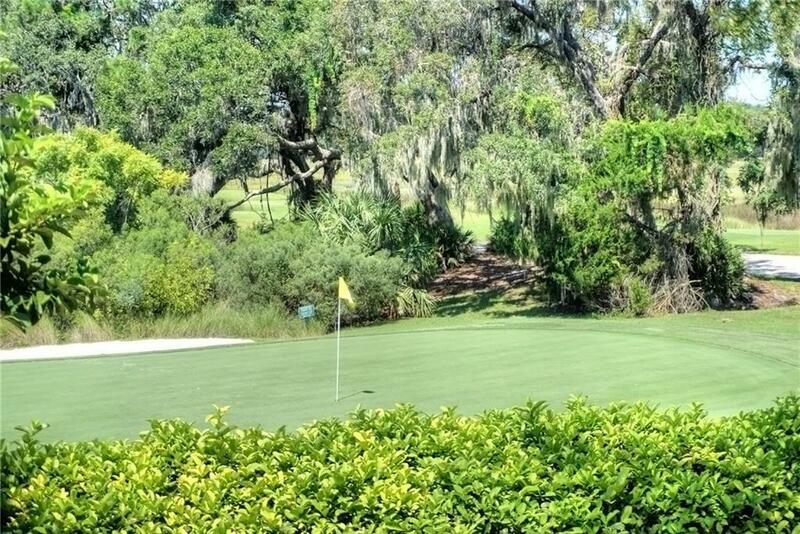 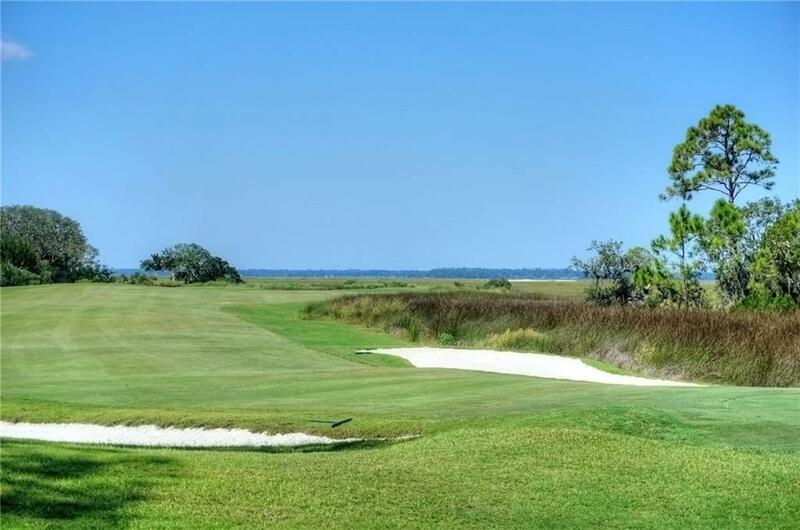 This lovely home is surrounded by nature and is located on the 17th green of the Oak Marsh Golf course. 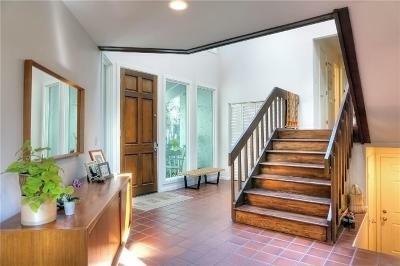 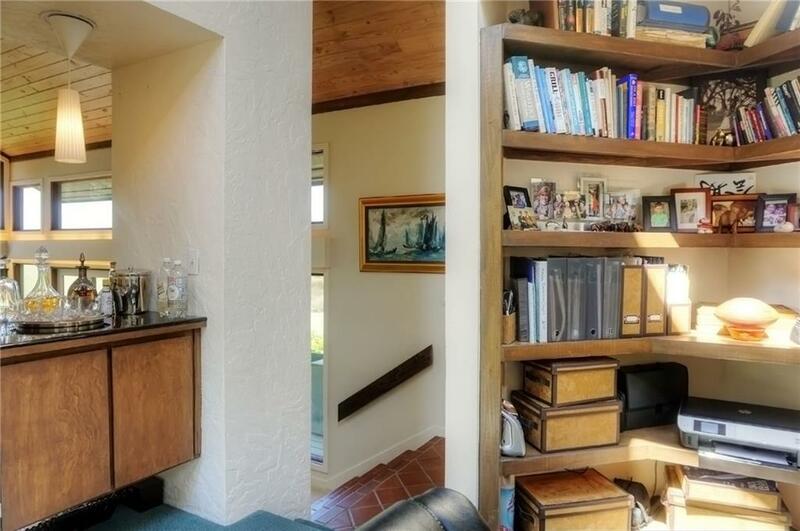 A gorgeous entry onto tile floors guides you to the wooden staircase and to the upper level. 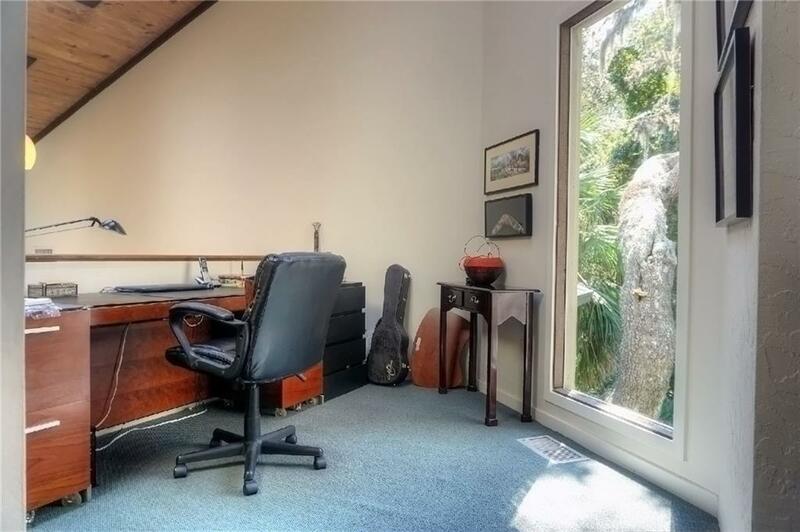 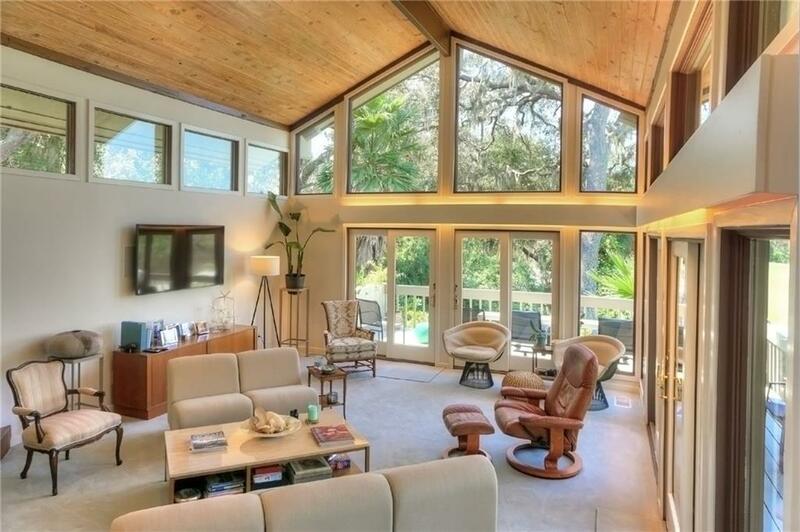 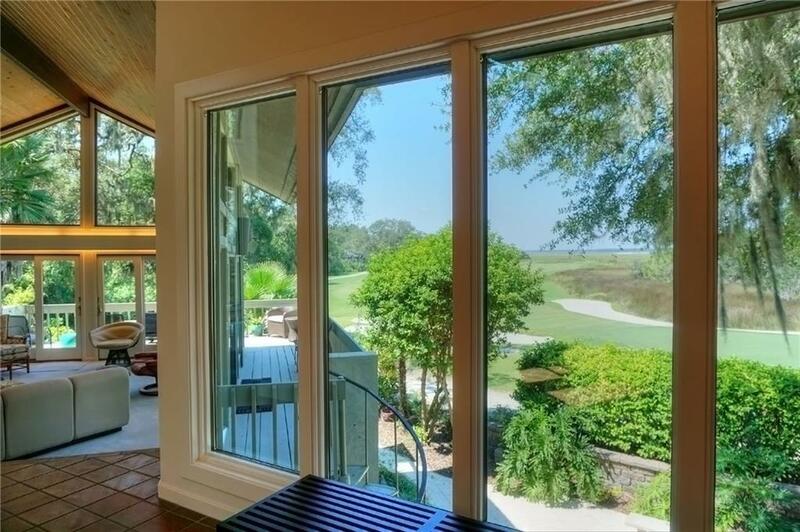 Here, the inviting living room of mostly glass, features a gas fireplace, a high ceiling, and opens to wrap-around decks for enjoyment of the magnificent golf course, marsh and Intracoastal Waterway view. The adjacent dining room, with the same views, also has a high ceiling and open feel, and nestled between the living and dining rooms is a raised study with a dry bar. 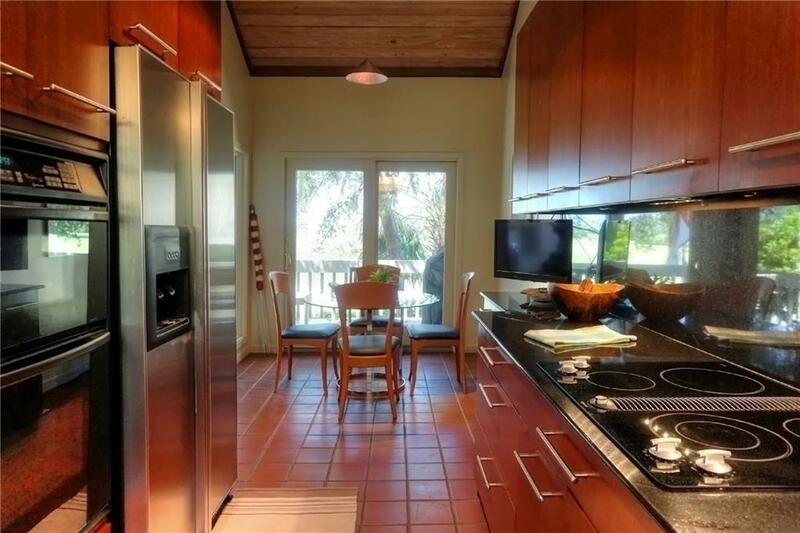 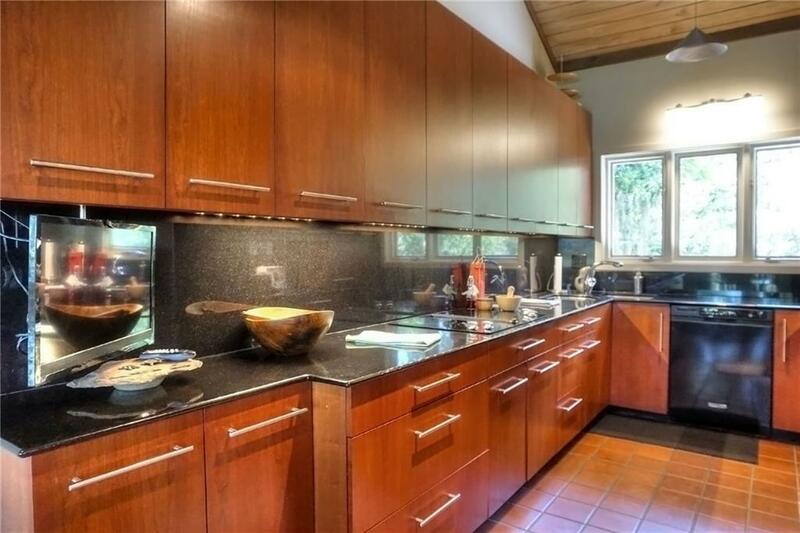 The fully custom kitchen is equipped with high-end appliances, a breakfast nook and access to a private balcony. 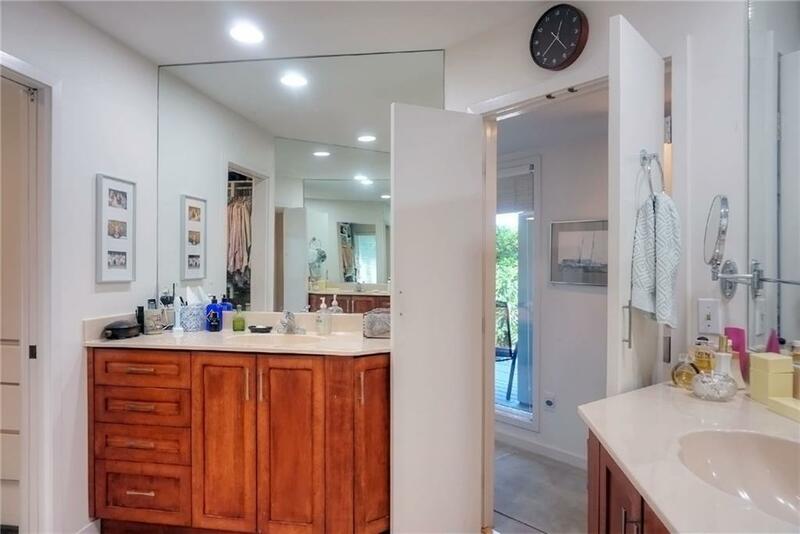 On the lower level, the master suite, with a spa-like bath and walk-in closet with built-ins, opens onto a private deck and stone patio. 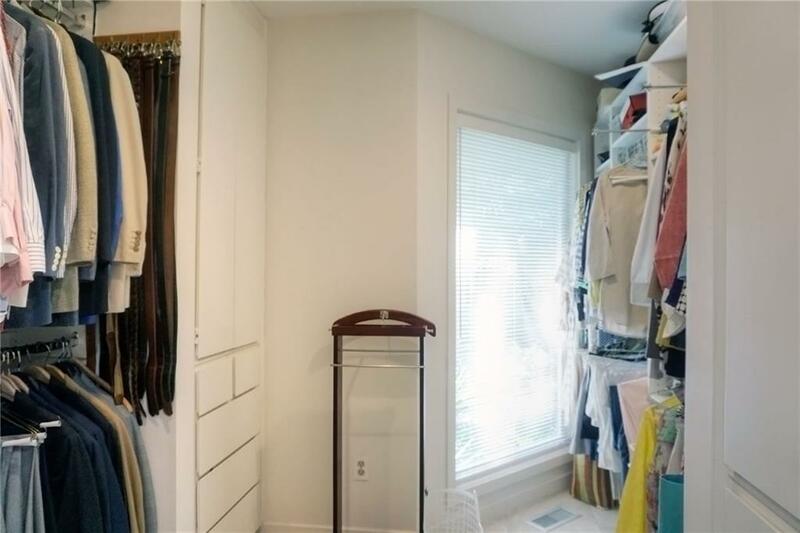 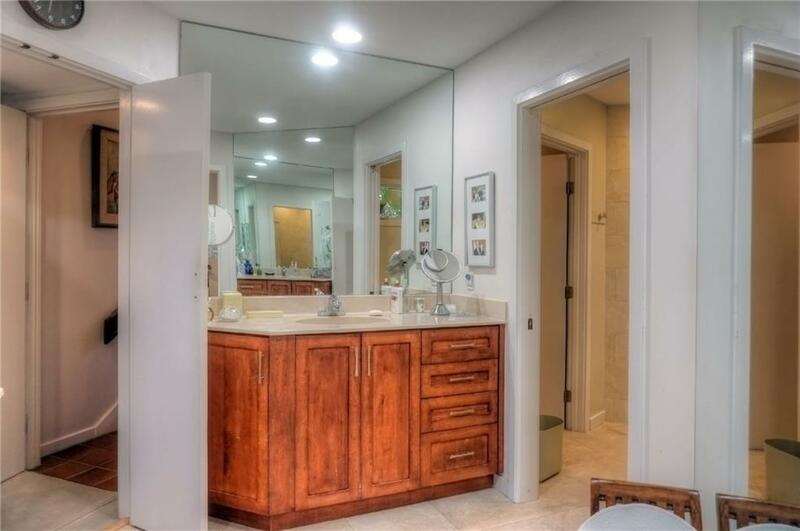 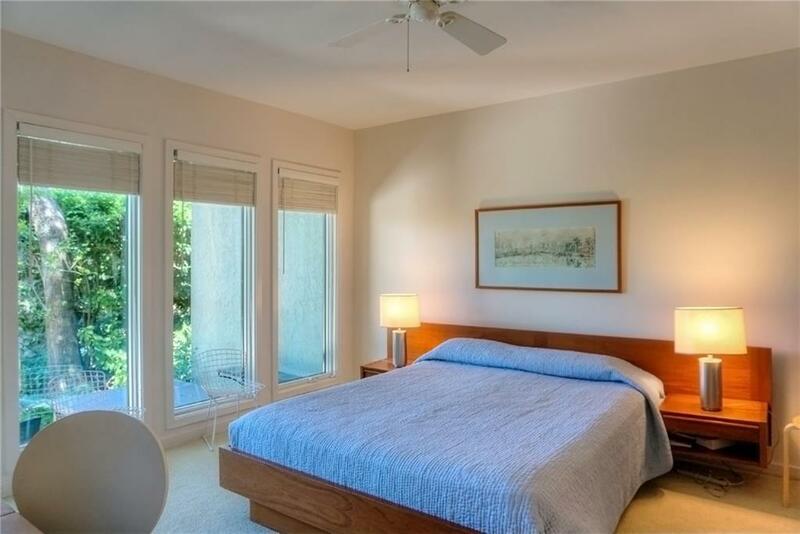 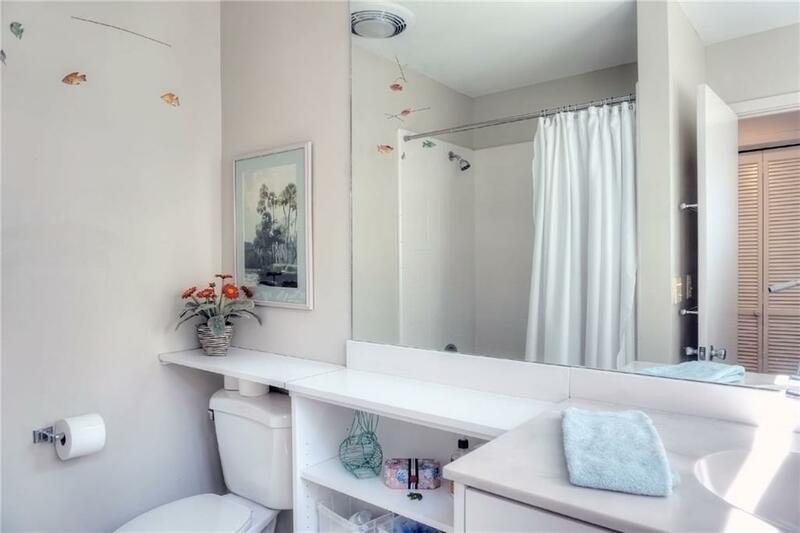 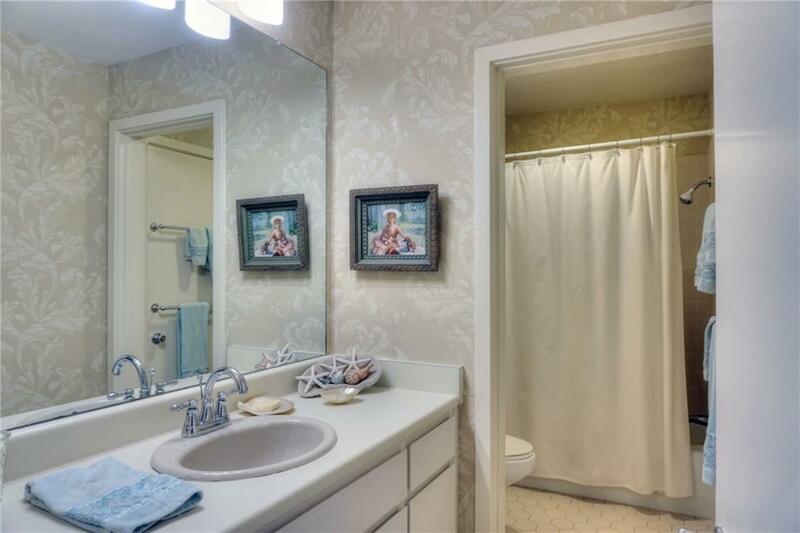 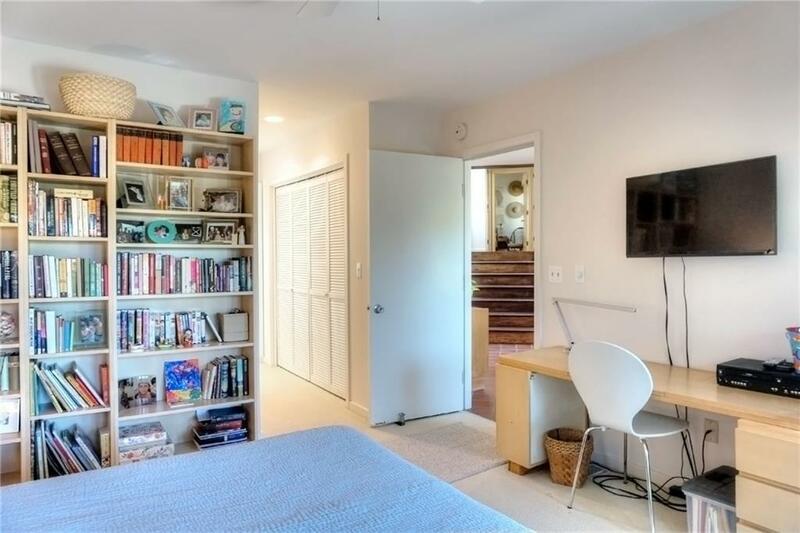 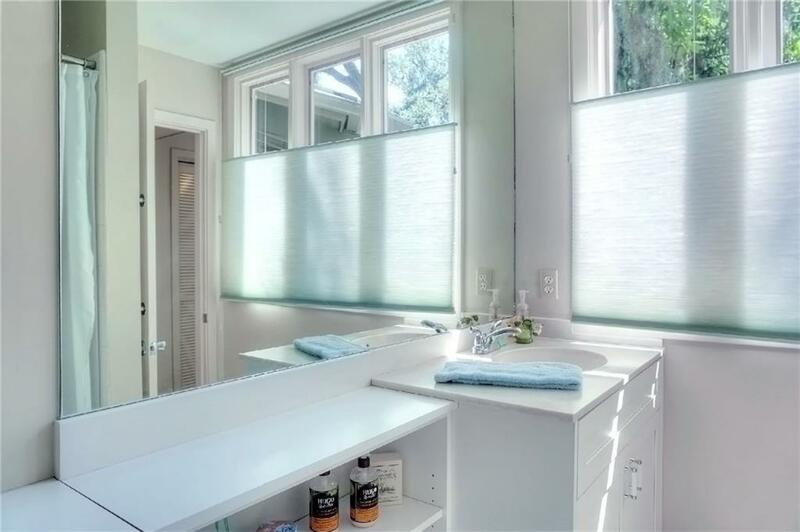 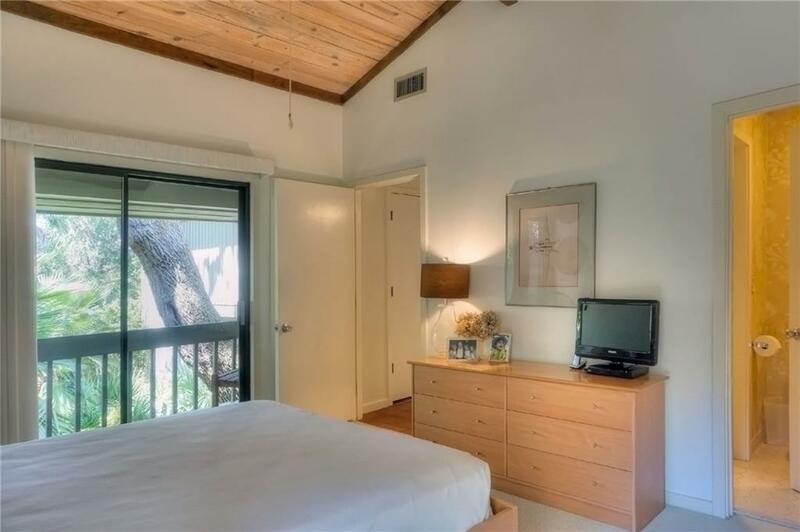 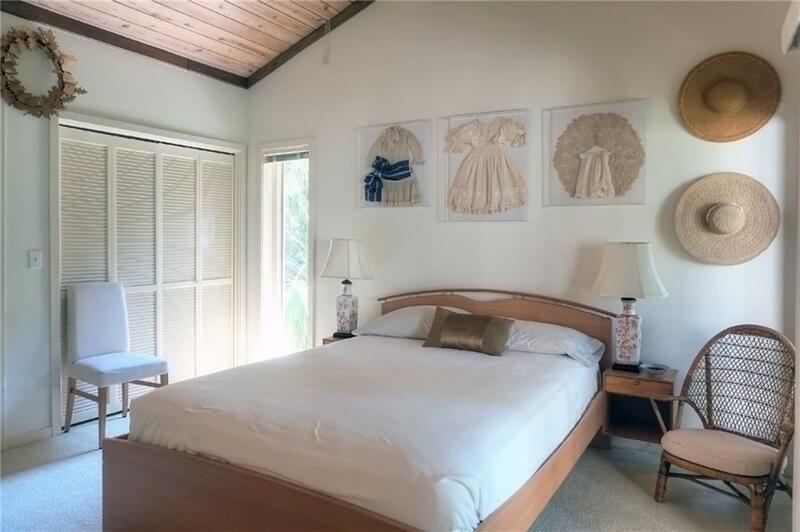 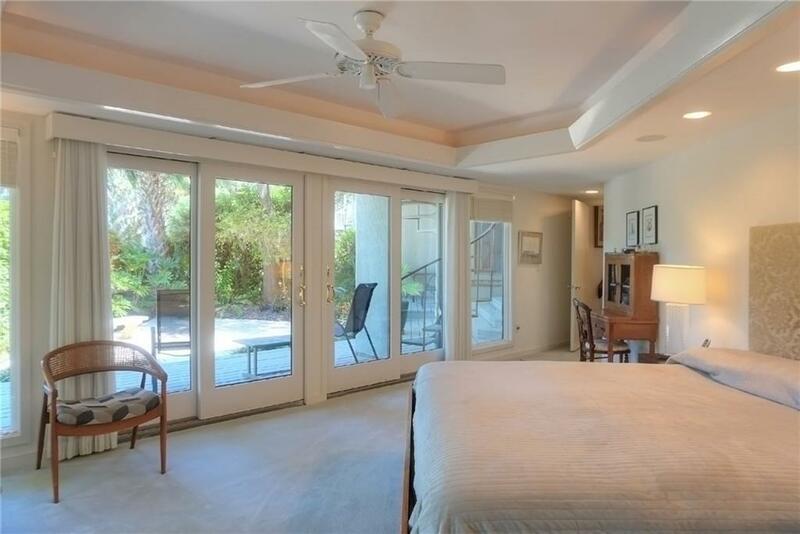 Two other levels include two guest rooms with full baths. 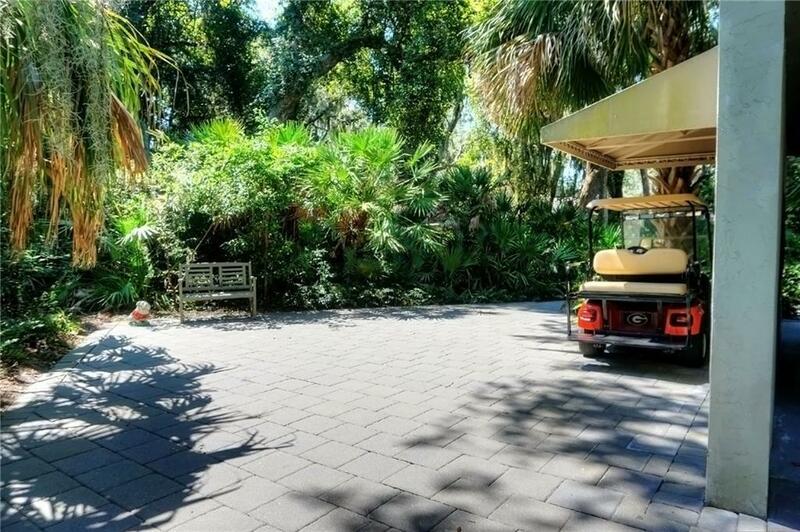 Park in a two car porte cochere and additional paved spaces. 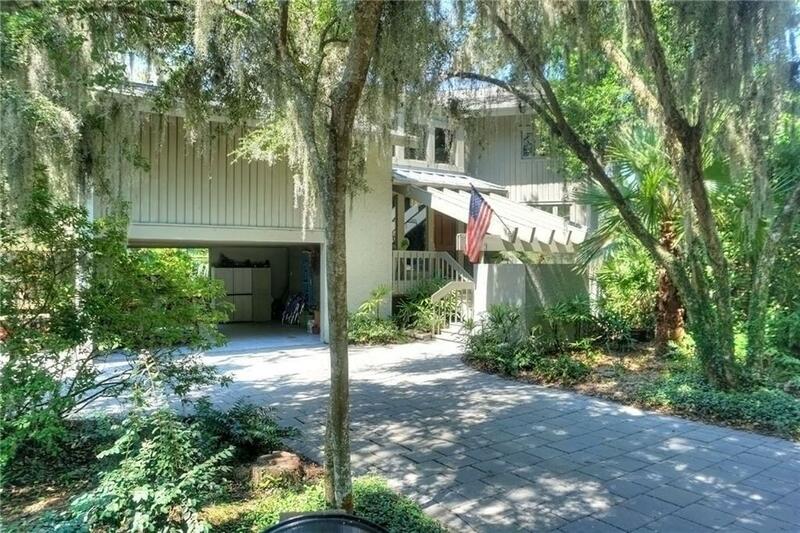 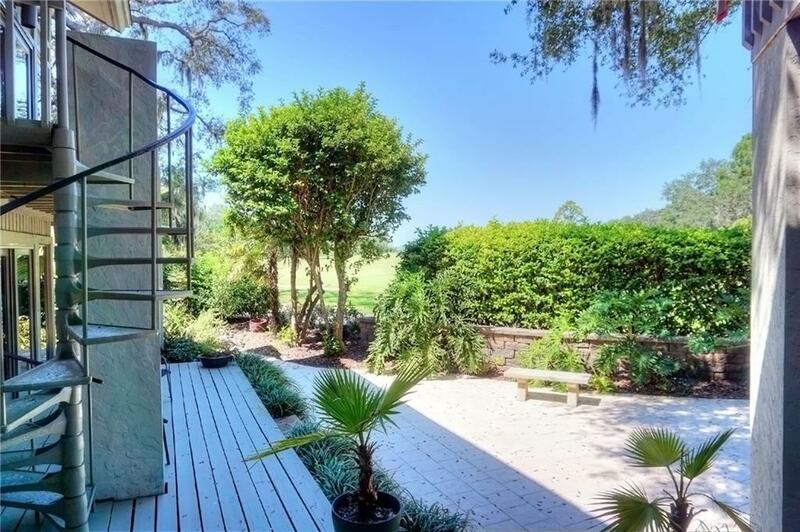 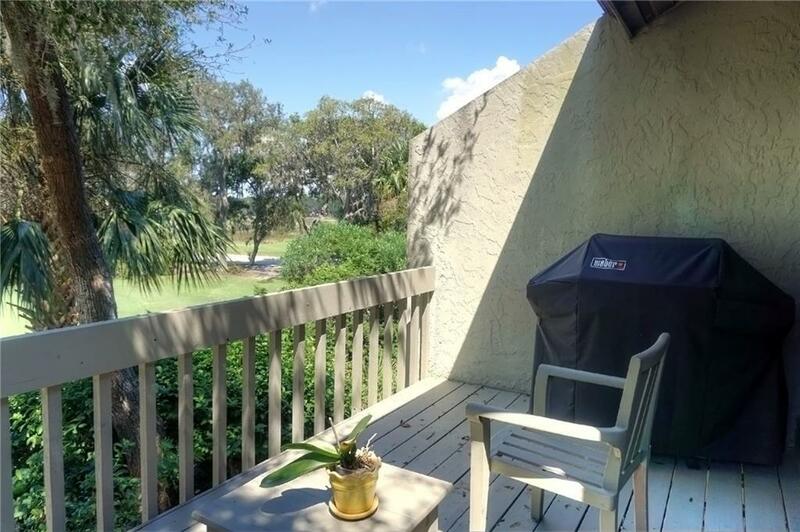 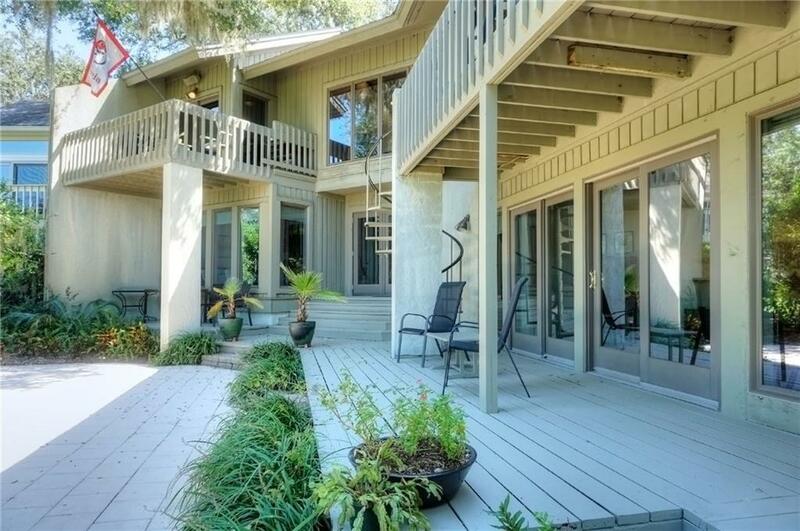 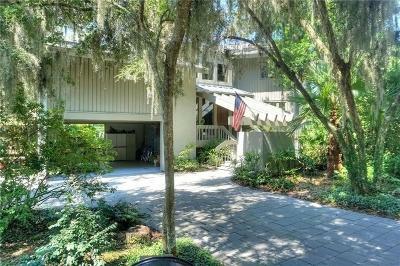 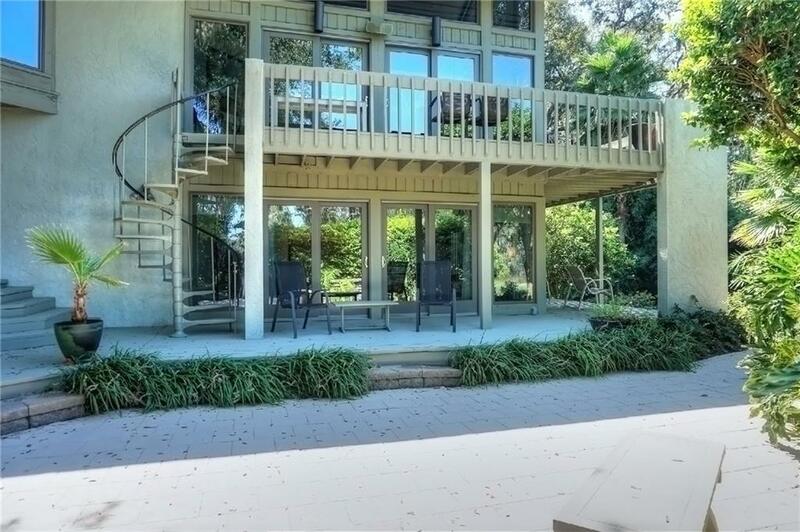 Enjoy enhanced outdoor living at this Amelia Island home!